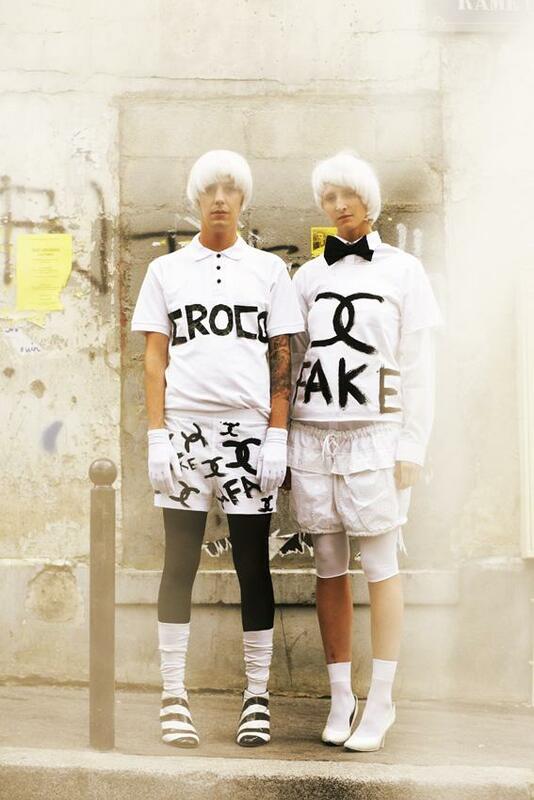 Karl Lagerfeld & Naco-Paris: if you can’t beat them, join them! 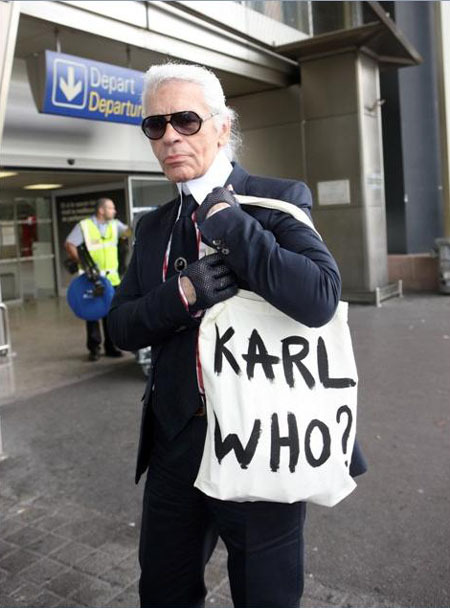 Karl Lagerfeld is a fashion guru. A mastermind and creative genius in his own right. He has collaborated on a variety of fashion and art related projects, most notably as head designer and creative director for the fashion house Chanel. Lagerfeld helms as well his own label fashion house (Karl Lagerfeld) and the Italian house Fendi. 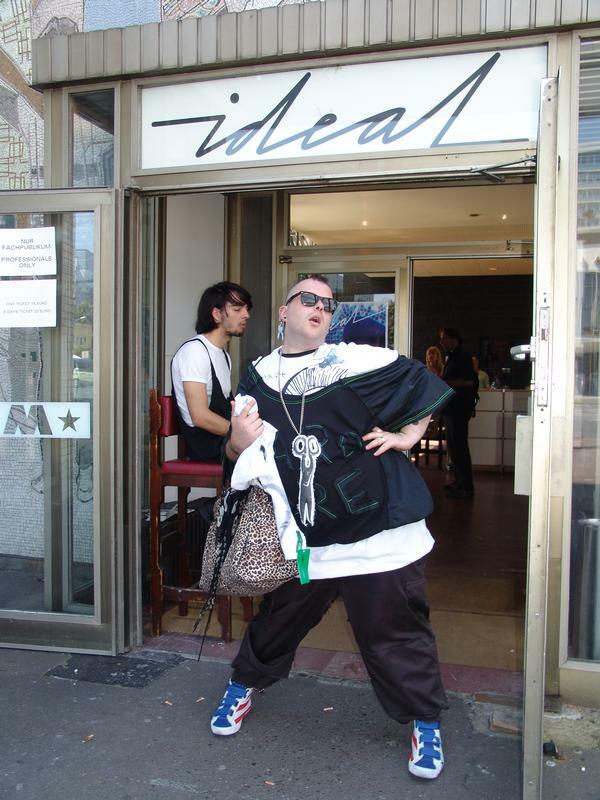 The internet community put an enormous focus on one of his “bags” in 2009, when the designer was spotted in Nice carrying this canvas eco-handbag…very far from Chanel unreachable style! 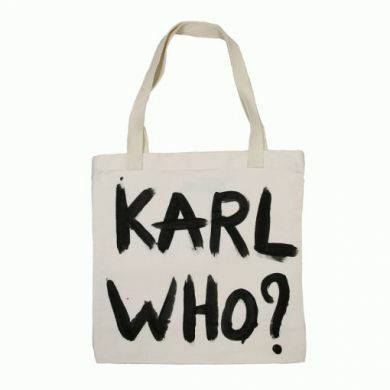 The “Who Bag?” is designed by Naco-Paris, underground French fashion designer. Fun fact: Naco-Paris won a court case against Chanel over the use of the Chanel logo (that he used a lot in many different ways in his creations, as you can see in the following photos). One minute they are in court together and the next Karl Lagerfeld is wearing a Naco-Paris design…and not viceversa! The press calls him “The only designer who doesn’t like fashion!” or “Fashion’s Robin Hood”. Since 2001 he’s been developing “unisexwear” collections based on his personal universe, underground, unusual and filled with a lot of artistic references. His line of clothes presents an ultra-modern aesthetics, mixing minimalism and punk attitude in order to denunce the luxury industry’s craze for consumption. 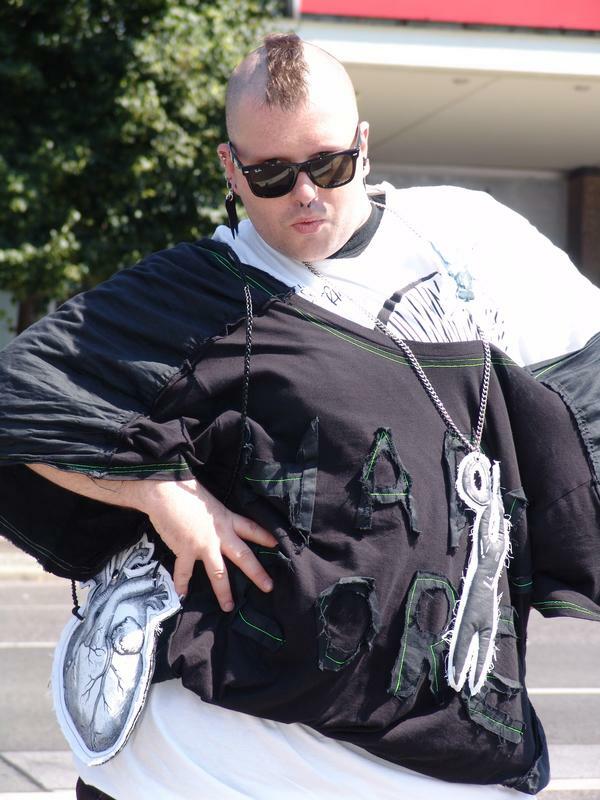 As many others brand new designers, his success is mostly due to the internet word-of-mouth advertising: the pic of Karl carrying the bag gave the brand a huge fame that broadcast rapidly thanks to networks like myspace, facebook or web sites collecting photos of young “outfiters” from all over the world wearing the creations of Naco-Paris. 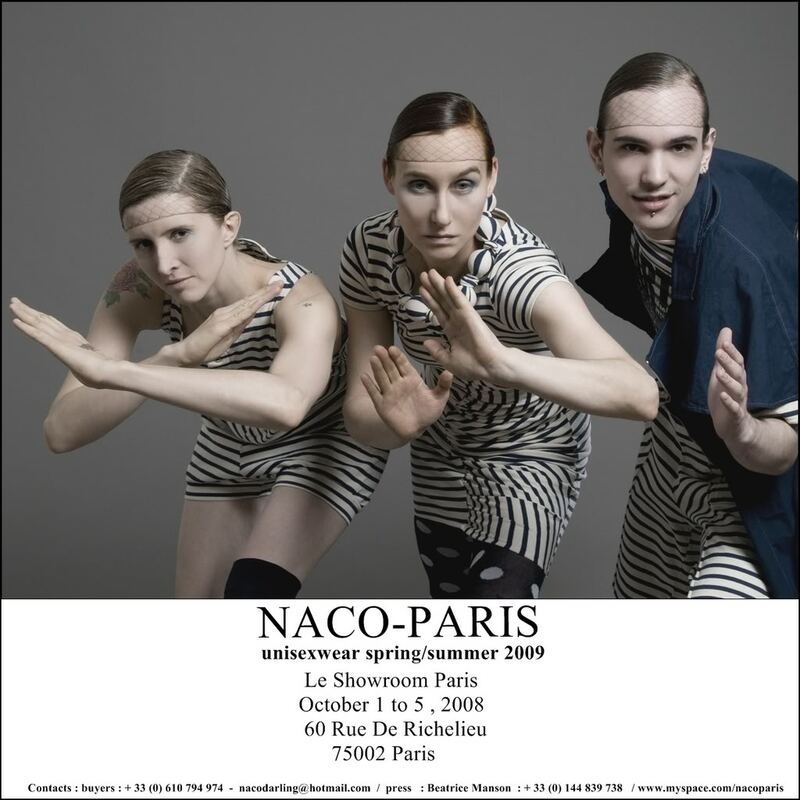 Enjoying this way an international reputation, Naco-Paris is now sold in the world’s most famous “fashion cities”: Paris with Colette, Arty Dandy and Victoire, London, Berlin, Hong-Kong, Milan, Copenhagen, Helsinki, Dubai, Beirut and his collections also lead to a general craze in Japan, where they are widely distributed in cult boutiques of Tokio, Osaka and Nagoya. ps. anyone interested in buying this extremely ironic handbag? 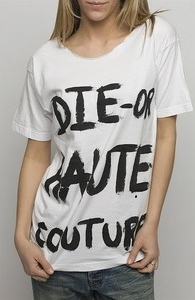 Available now through www.colette.fr for 50 €. ← The treachery of images.